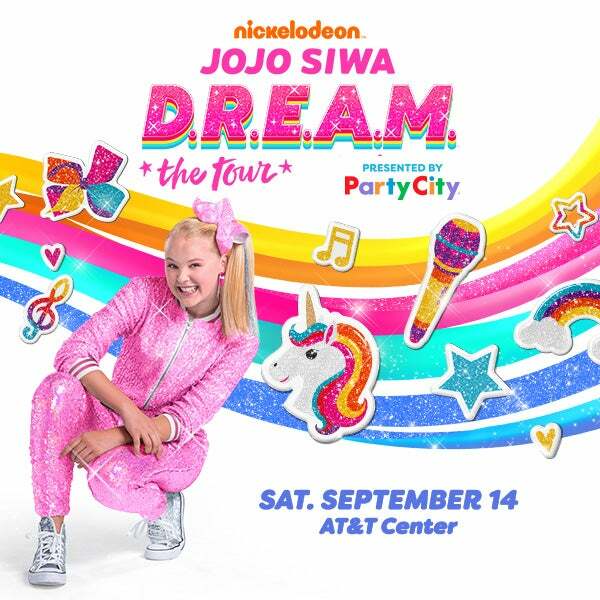 BURBANK, CA (April 4, 2019) – Nickelodeon star and YouTube sensation JoJo Siwa is adding 17 dates to her first North American tour: Nickelodeon’s JoJo Siwa D.R.E.A.M. The Tour. Presented by Party City and produced by Nickelodeon and AEG Presents, the 70-city tour will kick off in Phoenix, AZ on Friday, May 17 and will stop at the AT&T Center in San Antonio on Sept. 14.